Yamamura Daikan House (山村代官屋敷) is one of the main feature of Kiso Town. It is remaining Daikan House which is also the local museum today. Daikan is the local governor during Edo period. Yamamura clan was directly ordered by Tokugawa Ieyasu and ruled Kiso which is very important place on Nakasendo road for over 270 years. It displays many historical items of Daikan, such as his official cloth, toys, books, weapons and armers. There are is also beautiful garden. Admission: 300 yen for adult, 150 yen for kids. There was a house of a local magistrate and border control officer Yamamura there. Its beautiful garden and treasures passed down for generations are worth visiting. At a gazebo, local people will welcome visitors with a cup of tea. 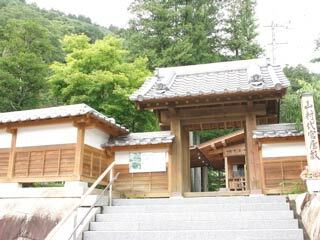 Because Yamamura Daika was very powerful Daikan, the installations and arts of this museum are very important and rare. There are many culturally important toys, such as Matching shells, and traditional Hinaningyo which carefully stored at their Kura. Many Armers, official clothes of Daikan, Traditional Dogi during Edo period, and many books and scrolls are displayed.